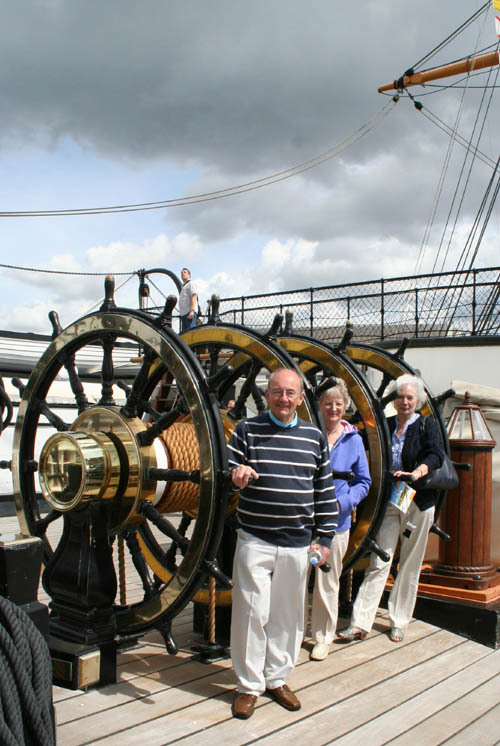 The Societys third visit of the summer of 2010 was to the Portsmouth Historic Dockyard. During the journey we enjoyed a coffee stop at Guildford Cathedral. Members were able to spend a short time at this modern Anglican cathedral with its red brick exterior and its light, peaceful interior. There was much to see at Portsmouth Historic Dockyard such as Nelsons Flagship HMS Victory, HMS Warrior, an iron clad ship built in 1860 which combined steam power and sail, the museum displaying the numerous artefacts recovered from Henry VIIIs ship, the Mary Rose, tours by boat of the harbour, and many historic buildings. The history of the area goes back to the reign of King Richard I when a dockyard was built at Portsmouth. The first dry dock was completed in 1495 during the reign of Henry VII. Apart from the sites of historical interest there were cafés and souvenir shops within the dockyard which completed the enjoyment of all the visitors.